Back to my regular routine after my wonderful days in India. 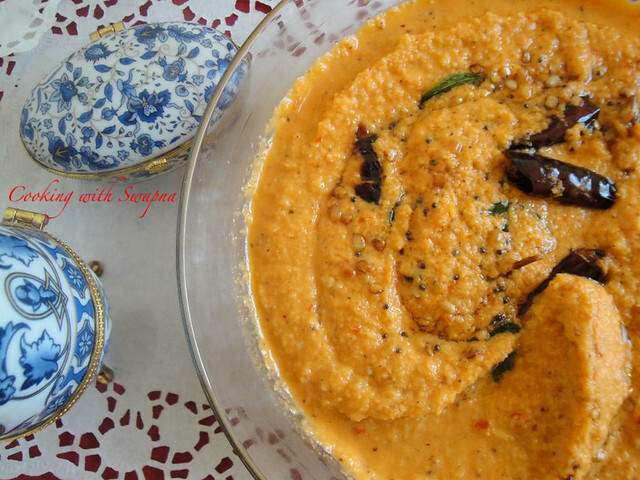 Now its my time to take charge of the kitchen & starting the day with this spicy and colorful tomato chutney which taste delicious with dosa, idly, pongal especially with most of the south indian tiffin menus. 1. Heat 1 tsp of oil in the pan, add a tsp of urad dal, hing, ginger piece, red chillies & cut tomatoes. Add salt and cook till done. 2. 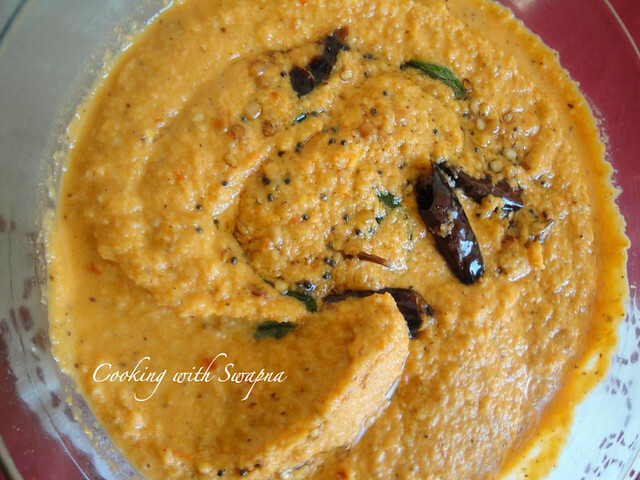 Cool the tomato mixture & grind it along with the tamarind and grated coconut. 3. 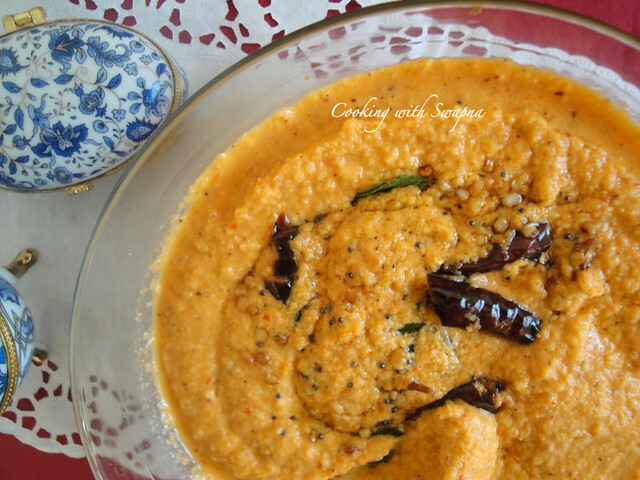 Meanwhile, heat a tsp of oil add mustard seeds, urad dal, red chillies (2 nos) & curry leaves & pour it in the grounded chutney. Wow! the chutney looks yummy. I make a similar one but with shallots.